Astronaut John L. Swigert, Jr., Apollo 13 Command Module Pilot, holds the “mailbox,” a makeshift device used to purge carbon dioxide from the Lunar Module that played a significant role in saving the doomed astronauts lives. Apollo 13 Hasselblad image from film magazine. During the course of the Apollo space program astronauts were charged with enduring unknown perils, conducting science experiments, piloting spacecraft, walking on the surface of the moon, and comprehending sights, sounds, and physical stresses never before experienced by humans. All the while, they were also asked to snap a couple thousands photographs of practically every moment with a modified Hasselblad camera. 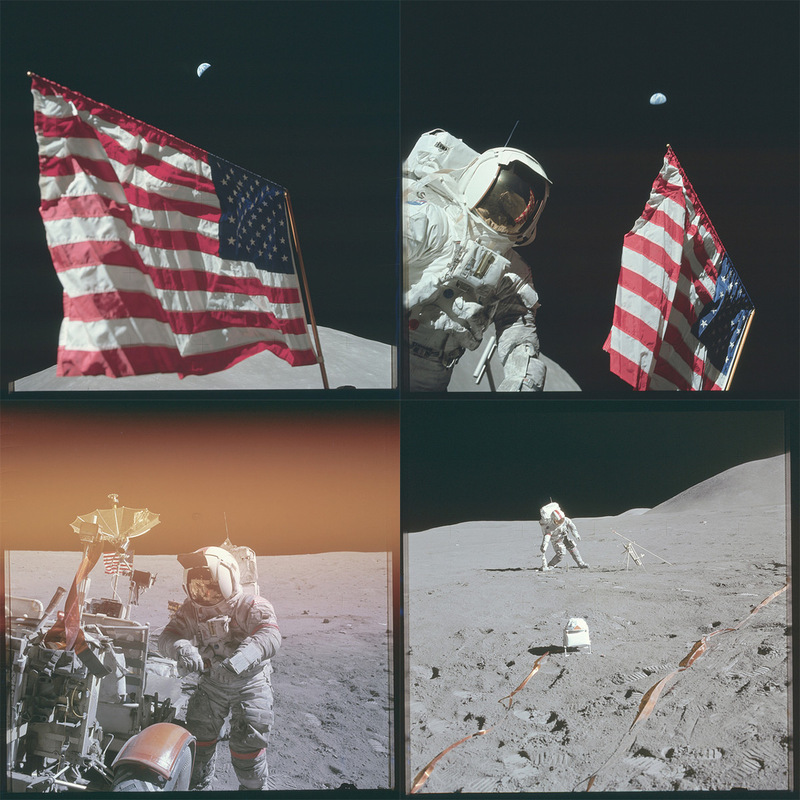 Last Friday, for the first time ever, NASA uploaded the entire catalogue of 8,400 Apollo mission photos to Flickr spanning Apollo 7 (the first manned test flight in 1968) through Apollo 17, the final lunar mission in 1972. The effort to bring the photos online was lead by Kipp Teague of the Project Apollo Archive who first began scanning camera film magazines on behalf of the Johnson Space Center in 2004. While we’re all used to seeing the more iconic photos like Blue Marble, the Apollo 11 bootprint, or this image of Buzz Aldrin, this random assortment of mundane moments and blurry horizons seems to highlight the humanity of the entire endeavor. Collected here are a few of our favorite shots, and you can see thousands more organized by mission on Flickr. Digg and PetaPixel also have collections of their favorites.